Reading and share top 5 Don Cooper famous quotes and sayings. 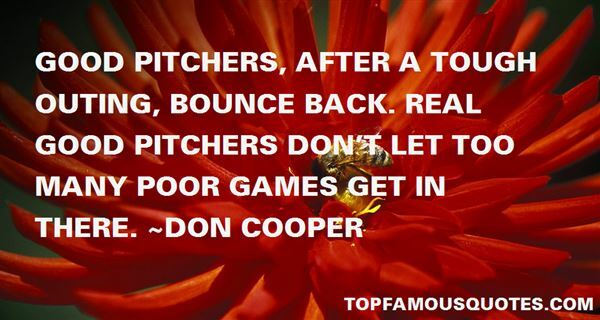 Browse top 5 most favorite famous quotes and sayings by Don Cooper. I never got along with my dad. Kids used to come up to me and say, "My dad can beat up your dad." I'd say Yeah? When?" What Did Don Cooper Talk About?